A brilliant day of off-road driving in your own vehicle with expert help at hand! Join the experts for a fun-filled day of off-road driving in Highland Perthshire. Bring your own vehicle, complete with family and friends, for a day of off-road driving. Learn new skills, experience new off-road routes and enjoy fabulous scenery! The day starts at the Land Rover Experience Centre at Butterstone Loch. The morning will be spent at our driving course in Dunkeld, where you can have fun on the vehicle assault course and practise your off-road skills, then the group will depart in convoy to explore unknown tracks in the Perthshire countryside. 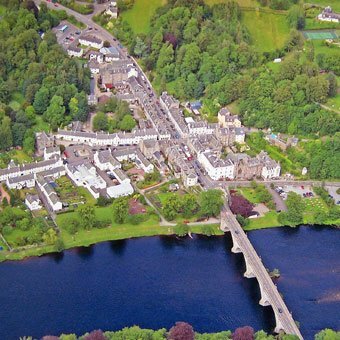 We will stop en-route for a picnic lunch then spend the rest of the afternoon in the hills above Dunkeld. This trek day is designed for smaller 4x4 vehicles, such as Evoque, Discovery Sport, Freelander and non-Land Rover equivalents. Larger 4x4s are also welcome. Friends and family - bring as many passengers as you like as long as they each have a seat-belt or booster seat if required. Bring your own picnic and refreshments. Contact us on 01350 727720 or info@landroverexperiencescotland.co.uk to find out more and book your place on the Trek Day. The cost of the Trek is £125 per vehicle.